Rezervirajte svoj smještaj na nekom od hrvatskih svjetionika i uživajte u odmoru na jednom od "bisera Jadrana". Ukoliko svjetionik kojeg tražite nije naveden na našim web stranicama, molimo vas kontaktirajte nas i javiti ćemo vam se čim prije. 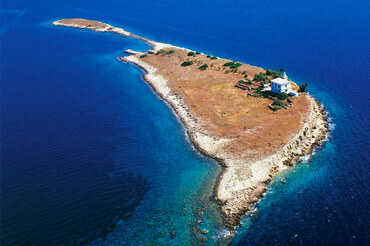 Lighthouse and 5* vacation house intended for the accommodation of maximum 8 persons, situated in a secluded pine-tree forest nearby an attractive rocky and sandy beach. Suitable for families and children, with mini-wellness, use of eight mountain bikes and much more. 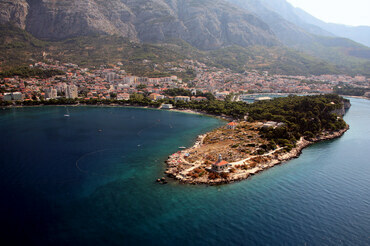 Placed between islands Korčula and Hvar, Pločica island is one of the most beautiful landscapes on the Adriatic. The lighthouse can accommodate up to 14 people (6 and 8 persons per apartment) and is the perfect choice if you are looking for a Robinson Crusoe type of holiday. In the middle of the southern side of the island, at the very edge of a 70 m high steep cliff, overlooking the bay of Skrivena Luka, lies the lighthouse Struga. Offering a spectacular view of the open sea, the lighthouse building provides accommodation in four apartments for 2, 3, 5 and 5 persons. 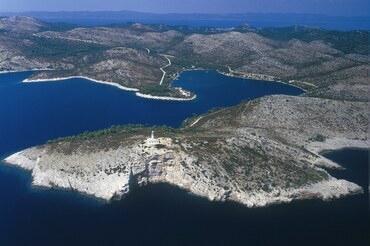 This island of exceptional beauty is Croatia's furthest island, placed in the middle of the Adriatic sea between the Croatian and Italian coast. 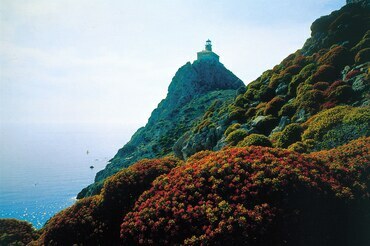 The lighthouse building, placed in the middle of the island at the height of 90 m, provides accommodation in two 4-bed apartments. Situated at the entrance to Makarska, a popular tourist destination with rich nightlife, this lighthouse is not for those seeking peace and quiet. 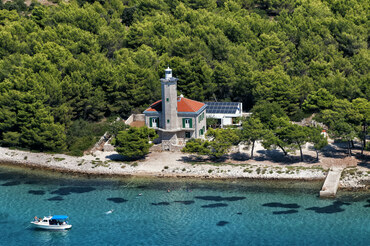 Offering ideal accommodation for 4 people, the lighthouse building is located near one of the most beautiful pebble beaches on the Adriatic. Ukoliko želite iznajmiti jahtu, gulet, katamaran, jedrilicu ili motorni brod u Hrvatskoj. Zašto biste koristili naše usluge? Prijavite se za naš "newsletter"
© SOUL TRAVEL d.o.o. 2013. - 2019. Sva prava pridržana.